Many homeowners are looking to update their home, both for themselves and with the thought of making their home more marketable for the future. 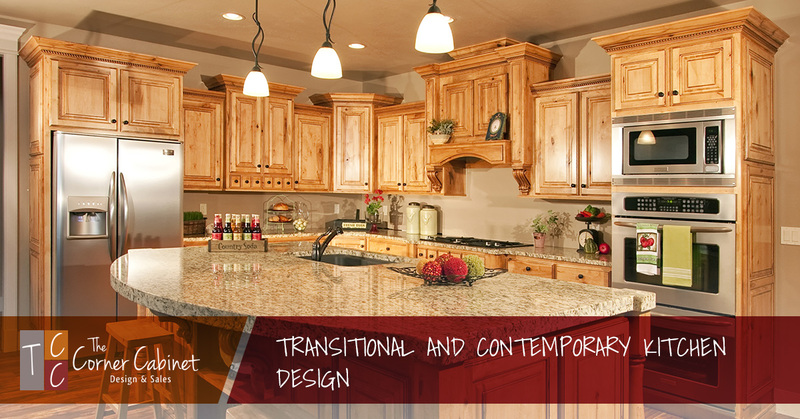 The concept of transitional or contemporary design has style attributes that you can use whether you’re having your kitchen or bath redesigned by The Corner Cabinet or you are updating and redecorating another room in your home. Incorporate a mixture of textures into the design. 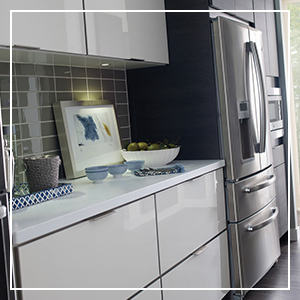 For example, mixing gloss wall cabinets with laminate bases. 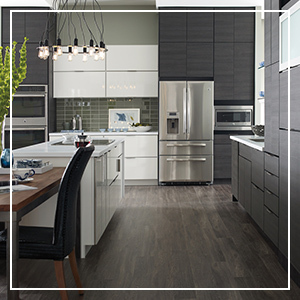 Or stained cabinets in muted natural or neutral tones pair perfectly with a painted island. Overall, keep the palette natural and organic with pops of color. Allow the focal point to be a functional area instead of merely a decorative one. Use open shelving if space allows and aluminum, stainless, and glass accents to modernize the space. Larger and deeper drawers and using wider wall cabinets reduce the number of doors and drawers, which creates a cleaner look. The overall design should draw your eye with more horizontal lines than vertical lines. This technique boils down to less is more and bigger is better.